Alberta Justice and Aboriginal Relations Minister Kathleen Ganley has initiated talks with Edmonton police Chief Rod Knecht after a CBC story about carding raised concerns of racial profiling. "Mostly I just want to know more information (about) what is going on and whether we have statistics on how this is being used, what the outcomes are," Ganley said prior to speaking with Knecht by phone Monday afternoon. Before their conversation, Ganley said it would be premature to launch a formal review because she is unaware of any data suggesting there is a problem. She noted Ontario launched a review after statistics showed non-white people are disproportionately stopped with personal information documented in random police street checks. 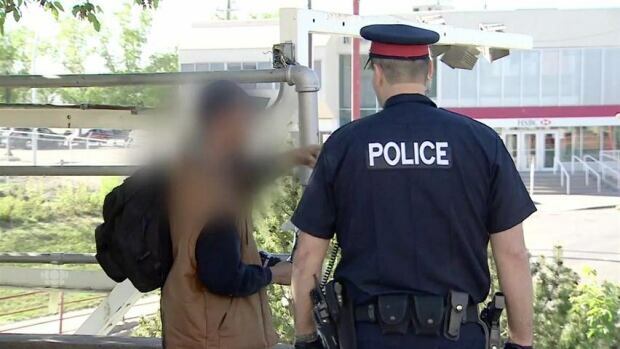 Critics in Edmonton's legal and aboriginal community say street checks, sometimes called carding, singles out aboriginal people and other racial groups. City police say they don't keep tallies by race but insist street checks are never racially motivated and are valuable for investigations. Figures provided by the police service to CBC show patrol officers card about 26,000 people overall on average a year, based on four years of statistics.